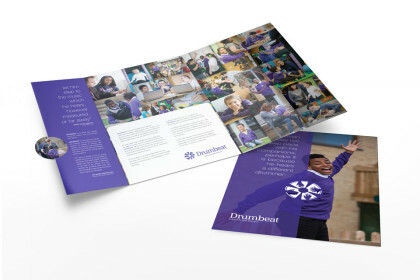 SEA were asked by Drumbeat to assist them with their new prospectus and folder. As with any new client, it was important for us to get to know the unique personality of the school and we took time to understand who they were and what they wanted, through meetings and school tours. As a specialist autism specific environment, it was critical that the warmth of the organisation and the commitment to care was conveyed through the materials and our designer set about creating bespoke designs that reflected this. Large, captivating images took centre stage alongside authentic and inspirational quotes, which were supported by snippets of informational copy. Bold colours were used to reinforce that Drumbeat is a fun and vibrant environment. Special consideration was given to the paper stock for the print of the prospectus and folder and we opted for an uncoated stock which gave the finished items a tactile, quality feel. 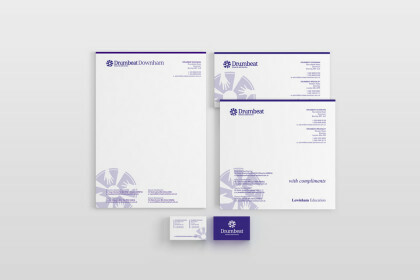 The client was delighted with the printed prospectus and folder and subsequently asked us to help with their school stationery. 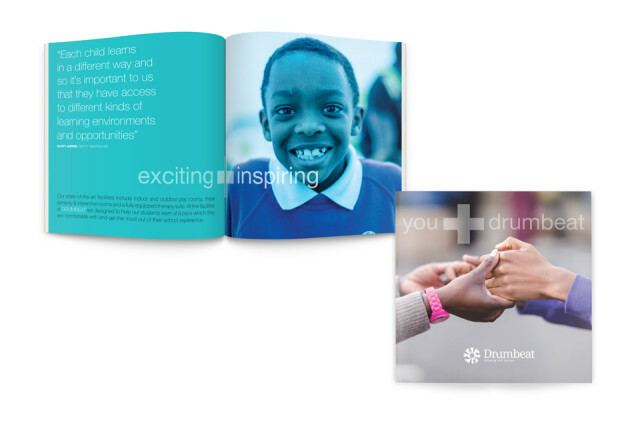 Preview the Drumbeat School prospectus on page turning software.